Satellite Radio, iPod/MP3 Input, Alloy Wheels, TRANSMISSION: 9-SPEED 948TE AUTOMATIC. ENGINE: 2.4L I4 ZERO EVAP M-AIR, Back-Up Camera, 4x4, Turbo Charged. WHY BUY FROM US Astorg Auto has proudly been a One Low Price, no negotiation automotive dealership for over 15 years. At Astorg Auto, we price our cars, not our customers. One Low Price is our no hassle, no negotiation, and no pressure purchasing experience. Our customer focused sales staff at Astorg Auto is paid to sell you a car, but not paid on how much we make selling you that car. Sales people paid on profit, does NOT benefit the customer. OPTION PACKAGES ENGINE: 2.4L I4 ZERO EVAP M-AIR 3.734 Final Drive Ratio, Engine Oil Cooler, Zero Evaporate Emissions Control System, TRANSMISSION: 9-SPEED 948TE AUTOMATIC Vinyl Shift Knob. EXPERTS RAVE KBB.com's review says The 2018 Jeep Renegade doesn't just look more rugged and off-road capable than its rivals in the compact SUV class, it actually is.. Heated Seats, Back-Up Camera, 4x4, iPod/MP3 Input, Satellite Radio, Turbo, SAFETY & SECURITY GROUP, COLD WEATHER GROUP, QUICK ORDER PACKAGE 2EJ, ADVANCED TECHNOLOGY GROUP, PASSIVE ENTRY REMOTE START PACKAGE. 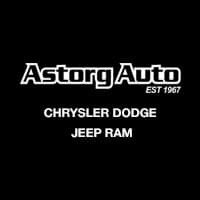 WHY BUY FROM US Astorg Auto has proudly been a One Low Price, no negotiation automotive dealership for over 15 years. At Astorg Auto, we price our cars, not our customers. One Low Price is our no hassle, no negotiation, and no pressure purchasing experience. Our customer focused sales staff at Astorg Auto is paid to sell you a car, but not paid on how much we make selling you that car. Sales people paid on profit, does NOT benefit the customer. OPTION PACKAGES ENGINE: 2.4L I4 ZERO EVAP M-AIR 3.734 Final Drive Ratio, Engine Oil Cooler, Zero Evaporate Emissions Control System, ADVANCED TECHNOLOGY GROUP Lane Departure Warning Plus, Automatic High Beam Headlamp Control, Full Speed Forward Collision Warning Plus, ParkSense Rear Park Assist System, SAFETY & SECURITY GROUP Tonneau Cover, Rain Sensitive Windshield Wipers, Blind Spot & Cross Path Detection, High Intensity Discharge Headlamps, Security Alarm, COLD WEATHER GROUP Heated Front Seats, Windshield Wiper De-Icer, All-Season Floor Mats, Heated Steering Wheel, PTC Auxiliary Interior Heater, POPULAR EQUIPMENT GROUP 115V Auxiliary Power Outlet, 40/20/40 Rear Seat w/Trunk Pass-Thru, Power 8-Way Driver Manual 4-Way Passenger Seats, Rear View Auto Dim Mirror, Power 4-Way Driver Lumbar Adjust, WHEELS: 18 X 7.0 ALUMINUM Tires: 225/55R18 AS, PASSIVE ENTRY REMOTE START PACKAGE Remote Start System, Passive Entry/KEYLESS-GO, QUICK ORDER PACKAGE 2EJ Engine: 2.4L I4 ZERO EVAP M-AIR, Transmission: 9-Speed 948TE Automatic, Wheels: 17 x 7.0 Aluminum, Tires: 215/60R17 BSW AS Touring, TRANSMISSION: 9-SPEED 948TE AUTOMATIC Vinyl Shift Knob. EXPERTS REPORT KBB.com's review says The 2018 Jeep Renegade doesn't just look more rugged and off-road capable than its rivals in the compact SUV class, it actually is..
Navigation, Sunroof, Heated Seats, Turbo Charged, iPod/MP3 Input, Back-Up Camera, 4x4, PASSIVE ENTRY REMOTE START PACKAGE, UCONNECT 8.4 NAV GROUP, QUICK ORDER PACKAGE 2EL ALTITUDE, COLD WEATHER GROUP, BEATS PREMIUM AUDIO SYSTEM. WHY BUY FROM US Astorg Auto has proudly been a One Low Price, no negotiation automotive dealership for over 15 years. At Astorg Auto, we price our cars, not our customers. One Low Price is our no hassle, no negotiation, and no pressure purchasing experience. Our customer focused sales staff at Astorg Auto is paid to sell you a car, but not paid on how much we make selling you that car. Sales people paid on profit, does NOT benefit the customer. OPTION PACKAGES ENGINE: 2.4L I4 ZERO EVAP M-AIR 3.734 Final Drive Ratio, Engine Oil Cooler, Zero Evaporate Emissions Control System, DUAL PANE PANORAMIC POWER SUNROOF, UCONNECT 8.4 NAV GROUP SiriusXM Travel Link, 5-Year SiriusXM Travel Link Service, GPS Navigation, 1-Year SiriusXM Guardian Trial, Cluster 7 TFT Color Display, HD Radio, 8.4 Touchscreen Display, SiriusXM Traffic Plus, Radio: Uconnect 4C Nav w/8.4 Display, For Details Visit DriveUconnect.com, QUICK ORDER PACKAGE 2EL ALTITUDE Engine: 2.4L I4 ZERO EVAP M-AIR, Transmission: 9-Speed 948TE Automatic, Gloss Black Badging, Vinyl Door Trim Panel, Gloss Black Instrument Panel Bezels, Gloss Black Rear Fascia Applique, Altitude Package, Black Accent Stitching, Black Day Light Opening Moldings, Exterior Mirrors w/Supplemental Signals, COLD WEATHER GROUP Heated Front Seats, Windshield Wiper De-Icer, All-Season Floor Mats, Heated Steering Wheel, PTC Auxiliary Interior Heater, PASSIVE ENTRY REMOTE START PACKAGE Remote Start System, Passive Entry/KEYLESS-GO, TRANSMISSION: 9-SPEED 948TE AUTOMATIC Vinyl Shift Knob. EXPERTS CONCLUDE The 2018 Jeep Renegade doesn't just look more rugged and off-road capable than its rivals in the compact SUV class, it actually is. -KBB.com. Moonroof, Heated Leather Seats, Hitch, Back-Up Camera, Satellite Radio, 4x4, MOPAR INTERIOR PROTECTION PACKAGE, TRAILER TOW GROUP, ADVANCED TECHNOLOGY GROUP, SAFETY & SECURITY GROUP, DUAL PANE PANORAMIC POWER SUNROOF. WHY BUY FROM US Astorg Auto has proudly been a One Low Price, no negotiation automotive dealership for over 15 years. At Astorg Auto, we price our cars, not our customers. One Low Price is our no hassle, no negotiation, and no pressure purchasing experience. Our customer focused sales staff at Astorg Auto is paid to sell you a car, but not paid on how much we make selling you that car. Sales people paid on profit, does NOT benefit the customer. OPTION PACKAGES ADVANCED TECHNOLOGY GROUP Lane Departure Warning Plus, Automatic High Beam Headlamp Control, Full Speed Forward Collision Warning Plus, ParkSense Rear Park Assist System, SAFETY & SECURITY GROUP Tonneau Cover, Blind Spot & Cross Path Detection, High Intensity Discharge Headlamps, Security Alarm, TRAILER TOW GROUP 4 Pin Wiring Harness, Class III Receiver Hitch, WHEELS: 18 X 7.0 ALUMINUM POLISHED, MOPAR INTERIOR PROTECTION PACKAGE MOPAR Cargo Tray, MOPAR Bright Door Entry Guards, MOPAR All Weather Mats, TRANSMISSION: 9-SPEED 948TE AUTOMATIC (STD), ENGINE: 2.4L I4 ZERO EVAP M-AIR (STD). EXPERTS ARE SAYING KBB.com's review says The 2018 Jeep Renegade doesn't just look more rugged and off-road capable than its rivals in the compact SUV class, it actually is.. Heated Leather Seats, Sunroof, Satellite Radio, 4x4, Back-Up Camera, Trailer Hitch, TRAILER TOW GROUP , TRANSMISSION: 9-SPEED 948TE AUTOMATIC. ADVANCED TECHNOLOGY GROUP, SAFETY & SECURITY GROUP, WHEELS: 18 X 7.0 ALUMINUM POLISHED. WHY BUY FROM US Astorg Auto has proudly been a One Low Price, no negotiation automotive dealership for over 15 years. At Astorg Auto, we price our cars, not our customers. One Low Price is our no hassle, no negotiation, and no pressure purchasing experience. Our customer focused sales staff at Astorg Auto is paid to sell you a car, but not paid on how much we make selling you that car. Sales people paid on profit, does NOT benefit the customer. OPTION PACKAGES DUAL PANE PANORAMIC POWER SUNROOF, ADVANCED TECHNOLOGY GROUP Lane Departure Warning Plus, Automatic High Beam Headlamp Control, Full Speed Forward Collision Warning Plus, ParkSense Rear Park Assist System, SAFETY & SECURITY GROUP Tonneau Cover, Blind Spot & Cross Path Detection, High Intensity Discharge Headlamps, Security Alarm, BEATS PREMIUM AUDIO SYSTEM, TRAILER TOW GROUP 4 Pin Wiring Harness, Class III Receiver Hitch, TRANSMISSION: 9-SPEED 948TE AUTOMATIC (STD), ENGINE: 2.4L I4 ZERO EVAP M-AIR (STD). VEHICLE REVIEWS The 2018 Jeep Renegade doesn't just look more rugged and off-road capable than its rivals in the compact SUV class, it actually is. -KBB.com. IPod/MP3 Input, Back-Up Camera, Keyless Start, Bluetooth, ANTI-SPIN DIFFERENTIAL REAR AXLE , TRANSMISSION: 8-SPEED AUTOMATIC (850R. TRAILER TOW & HD ELECTRICAL GROUP, ENGINE: 3.6L V6 24V VVT UPG I W/ESS, 4x4, Tow Hitch. WHY BUY FROM US Astorg Auto has proudly been a One Low Price, no negotiation automotive dealership for over 15 years. At Astorg Auto, we price our cars, not our customers. One Low Price is our no hassle, no negotiation, and no pressure purchasing experience. Our customer focused sales staff at Astorg Auto is paid to sell you a car, but not paid on how much we make selling you that car. Sales people paid on profit, does NOT benefit the customer. OPTION PACKAGES TRANSMISSION: 8-SPEED AUTOMATIC (850RE) Dana M200 Rear Axle, Hill Descent Control, Tip Start, TRAILER TOW & HD ELECTRICAL GROUP Class II Receiver Hitch, 240 Amp Alternator, 7 & 4 Pin Wiring Harness, 700 Amp Maintenance Free Battery, Auxiliary Switches, ANTI-SPIN DIFFERENTIAL REAR AXLE, DEEP TINT SUNSCREEN WINDOWS EXPERTS ARE SAYING Edmunds.com's review says Now made of aluminum, the doors are much easier to lift off, especially if you roll down the window so you can reach through and pull the door free with the new handhold under the armrest..
IPod/MP3 Input, Bluetooth, Keyless Start, Back-Up Camera, ANTI-SPIN DIFFERENTIAL REAR AXLE , TRAILER TOW & HD ELECTRICAL GROUP , TRANSMISSION: 8-SPEED AUTOMATIC (850R. ENGINE: 3.6L V6 24V VVT UPG I W/ESS, 4x4, Hitch. WHY BUY FROM US Astorg Auto has proudly been a One Low Price, no negotiation automotive dealership for over 15 years. At Astorg Auto, we price our cars, not our customers. One Low Price is our no hassle, no negotiation, and no pressure purchasing experience. Our customer focused sales staff at Astorg Auto is paid to sell you a car, but not paid on how much we make selling you that car. Sales people paid on profit, does NOT benefit the customer. OPTION PACKAGES TRANSMISSION: 8-SPEED AUTOMATIC (850RE) Dana M200 Rear Axle, Hill Descent Control, Tip Start, TRAILER TOW & HD ELECTRICAL GROUP Class II Receiver Hitch, 240 Amp Alternator, 7 & 4 Pin Wiring Harness, 700 Amp Maintenance Free Battery, Auxiliary Switches, ANTI-SPIN DIFFERENTIAL REAR AXLE, DEEP TINT SUNSCREEN WINDOWS, ENGINE: 3.6L V6 24V VVT UPG I W/ESS (STD). EXPERTS ARE SAYING Edmunds.com explains Now made of aluminum, the doors are much easier to lift off, especially if you roll down the window so you can reach through and pull the door free with the new handhold under the armrest..
IPod/MP3 Input, CD Player, Satellite Radio, TRANSMISSION: 5-SPEED AUTOMATIC (W5A5. QUICK ORDER PACKAGE 24M GOLDEN EAGLE, POWER CONVENIENCE GROUP, 4x4, Aluminum Wheels, ENGINE: 3.6L V6 24V VVT. WHY BUY FROM US Astorg Auto has proudly been a One Low Price, no negotiation automotive dealership for over 15 years. At Astorg Auto, we price our cars, not our customers. One Low Price is our no hassle, no negotiation, and no pressure purchasing experience. Our customer focused sales staff at Astorg Auto is paid to sell you a car, but not paid on how much we make selling you that car. Sales people paid on profit, does NOT benefit the customer. OPTION PACKAGES QUICK ORDER PACKAGE 24M GOLDEN EAGLE Engine: 3.6L V6 24V VVT, Transmission: 5-Speed Automatic (W5A580), Body Color Fender Flares, 2 Front & 1 Rear Bronze Tow Hook, Low Gloss Wrangler JK Decal, Black/Chrome Screws Fuel Filler Door, Light Bronze Accent Stitching, MOPAR Black Tail Lamp Guards, Leather Wrapped Steering Wheel, Uconnect Voice Command w/Bluetooth, Vehicle Information Center, Chrome/Leather Wrapped Shift Knob, Tire Pressure Monitoring Display, Golden Eagle Package, Body Color Grille w/Bronze Accent, Titanium Interior Accents, Steel Rear Bumper, Bronze Jeep Grille Badge, 1-Yr SiriusXM Radio Service, For More Info Call 888-539-7474, Deep Tint Sunscreen Windows, MOPAR Grab Handles, Golden Eagle Hood Decal, Steel Front Bumper, HD Rock Rails w/Step Pad, POWER CONVENIENCE GROUP Front 1-Touch Down Power Windows, Remote Keyless Entry, Power Heated Mirrors, Power Locks, Auto Dim Mirror w/Reading Lamp, Security Alarm, TRANSMISSION: 5-SPEED AUTOMATIC (W5A580) Hill Descent Control, Tip Start VEHICLE REVIEWS Edmunds.com explains It's more capable than any other SUV, and its relatively low price is hard to beat..
IPod/MP3 Input, CD Player, Satellite Radio, TRANSMISSION: 5-SPEED AUTOMATIC (W5A5. QUICK ORDER PACKAGE 24M GOLDEN EAGLE, POWER CONVENIENCE GROUP, 4x4, Alloy Wheels, ENGINE: 3.6L V6 24V VVT. WHY BUY FROM US Astorg Auto has proudly been a One Low Price, no negotiation automotive dealership for over 15 years. At Astorg Auto, we price our cars, not our customers. One Low Price is our no hassle, no negotiation, and no pressure purchasing experience. Our customer focused sales staff at Astorg Auto is paid to sell you a car, but not paid on how much we make selling you that car. Sales people paid on profit, does NOT benefit the customer. OPTION PACKAGES QUICK ORDER PACKAGE 24M GOLDEN EAGLE Engine: 3.6L V6 24V VVT, Transmission: 5-Speed Automatic (W5A580), Body Color Fender Flares, 2 Front & 1 Rear Bronze Tow Hook, Low Gloss Wrangler JK Decal, Black/Chrome Screws Fuel Filler Door, Light Bronze Accent Stitching, MOPAR Black Tail Lamp Guards, Leather Wrapped Steering Wheel, Uconnect Voice Command w/Bluetooth, Vehicle Information Center, Chrome/Leather Wrapped Shift Knob, Tire Pressure Monitoring Display, Golden Eagle Package, Body Color Grille w/Bronze Accent, Titanium Interior Accents, Steel Rear Bumper, Bronze Jeep Grille Badge, 1-Yr SiriusXM Radio Service, For More Info Call 888-539-7474, Deep Tint Sunscreen Windows, MOPAR Grab Handles, Golden Eagle Hood Decal, Steel Front Bumper, HD Rock Rails w/Step Pad, POWER CONVENIENCE GROUP Front 1-Touch Down Power Windows, Remote Keyless Entry, Power Heated Mirrors, Power Locks, Auto Dim Mirror w/Reading Lamp, Security Alarm, TRANSMISSION: 5-SPEED AUTOMATIC (W5A580) Hill Descent Control, Tip Start EXPERTS RAVE Edmunds.com explains It's more capable than any other SUV, and its relatively low price is hard to beat..
EPA 24 MPG Hwy/22 MPG City! Back-Up Camera, iPod/MP3 Input, Bluetooth, ENGINE: 2.0L I4 DOHC DI TURBO ETORQUE. QUICK ORDER PACKAGE 28S SPORT S, TRANSMISSION: 8-SPEED AUTOMATIC (850R. BLACK 3-PIECE HARD TOP, 4x4, Turbo Charged WHY BUY FROM US Astorg Auto has proudly been a One Low Price, no negotiation automotive dealership for over 15 years. At Astorg Auto, we price our cars, not our customers. One Low Price is our no hassle, no negotiation, and no pressure purchasing experience. Our customer focused sales staff at Astorg Auto is paid to sell you a car, but not paid on how much we make selling you that car. Sales people paid on profit, does NOT benefit the customer. OPTION PACKAGES QUICK ORDER PACKAGE 28S SPORT S Engine: 2.0L I4 DOHC DI Turbo eTorque, Transmission: 8-Speed Automatic (850RE), Front 1-Touch Down Power Windows, Remote Keyless Entry, Speed Sensitive Power Locks, Leather Wrapped Steering Wheel, Power Heated Mirrors, Automatic Headlamps, Sun Visors w/Illuminated Vanity Mirrors, Security Alarm, TRANSMISSION: 8-SPEED AUTOMATIC (850RE) Dana M200 Rear Axle, Hill Descent Control, Tip Start, BLACK 3-PIECE HARD TOP Rear Window Defroster, Freedom Panel Storage Bag, Rear Window Wiper/Washer, ENGINE: 2.0L I4 DOHC DI TURBO ETORQUE GVWR: 5,400 lbs, Delete Alternator, 700 Amp Maintenance Free Battery, Supplemental Heater, 48V Belt Starter Generator. VEHICLE REVIEWS Now made of aluminum, the doors are much easier to lift off, especially if you roll down the window so you can reach through and pull the door free with the new handhold under the armrest. -Edmunds.com. Fuel economy calculations based on original manufacturer data for trim engine configuration. EPA 24 MPG Hwy/22 MPG City! Back-Up Camera, iPod/MP3 Input, Bluetooth, 4x4, ENGINE: 2.0L I4 DOHC DI TURBO ETORQUE. QUICK ORDER PACKAGE 28S SPORT S, TRANSMISSION: 8-SPEED AUTOMATIC (850R. BLACK 3-PIECE HARD TOP, Turbo Charged WHY BUY FROM US Astorg Auto has proudly been a One Low Price, no negotiation automotive dealership for over 15 years. At Astorg Auto, we price our cars, not our customers. One Low Price is our no hassle, no negotiation, and no pressure purchasing experience. Our customer focused sales staff at Astorg Auto is paid to sell you a car, but not paid on how much we make selling you that car. Sales people paid on profit, does NOT benefit the customer. OPTION PACKAGES QUICK ORDER PACKAGE 28S SPORT S Engine: 2.0L I4 DOHC DI Turbo eTorque, Transmission: 8-Speed Automatic (850RE), Front 1-Touch Down Power Windows, Remote Keyless Entry, Speed Sensitive Power Locks, Leather Wrapped Steering Wheel, Power Heated Mirrors, Automatic Headlamps, Sun Visors w/Illuminated Vanity Mirrors, Security Alarm, TRANSMISSION: 8-SPEED AUTOMATIC (850RE) Dana M200 Rear Axle, Hill Descent Control, Tip Start, BLACK 3-PIECE HARD TOP Rear Window Defroster, Freedom Panel Storage Bag, Rear Window Wiper/Washer, ENGINE: 2.0L I4 DOHC DI TURBO ETORQUE GVWR: 5,400 lbs, Delete Alternator, 700 Amp Maintenance Free Battery, Supplemental Heater, 48V Belt Starter Generator, SIRIUSXM SATELLITE RADIO For More Info, Call 800-643-2112, 1-Yr SiriusXM Radio Service. EXPERTS ARE SAYING Edmunds.com's review says Now made of aluminum, the doors are much easier to lift off, especially if you roll down the window so you can reach through and pull the door free with the new handhold under the armrest.. Fuel economy calculations based on original manufacturer data for trim engine configuration. IPod/MP3 Input, Back-Up Camera, Keyless Start, Bluetooth, 4x4, TRANSMISSION: 8-SPEED AUTOMATIC (850R. ANTI-SPIN DIFFERENTIAL REAR AXLE, QUICK ORDER PACKAGE 24S SPORT S, TRAILER TOW & HD ELECTRICAL GROUP, Trailer Hitch. WHY BUY FROM US Astorg Auto has proudly been a One Low Price, no negotiation automotive dealership for over 15 years. At Astorg Auto, we price our cars, not our customers. One Low Price is our no hassle, no negotiation, and no pressure purchasing experience. Our customer focused sales staff at Astorg Auto is paid to sell you a car, but not paid on how much we make selling you that car. Sales people paid on profit, does NOT benefit the customer. OPTION PACKAGES QUICK ORDER PACKAGE 24S SPORT S Engine: 3.6L V6 24V VVT UPG I w/ESS, Transmission: 8-Speed Automatic (850RE), Front 1-Touch Down Power Windows, Remote Keyless Entry, Speed Sensitive Power Locks, Leather Wrapped Steering Wheel, Power Heated Mirrors, Automatic Headlamps, Sun Visors w/Illuminated Vanity Mirrors, Security Alarm, TRANSMISSION: 8-SPEED AUTOMATIC (850RE) Dana M200 Rear Axle, Hill Descent Control, Tip Start, WHEELS: 17 X 7.5 POLISHED GRANITE CRYSTAL, TRAILER TOW & HD ELECTRICAL GROUP Class II Receiver Hitch, 240 Amp Alternator, 7 & 4 Pin Wiring Harness, 700 Amp Maintenance Free Battery, Auxiliary Switches, PREMIUM BLACK SUNRIDER SOFT TOP, ANTI-SPIN DIFFERENTIAL REAR AXLE, ENGINE: 3.6L V6 24V VVT UPG I W/ESS (STD). EXPERTS RAVE Edmunds.com explains Now made of aluminum, the doors are much easier to lift off, especially if you roll down the window so you can reach through and pull the door free with the new handhold under the armrest..
IPod/MP3 Input, Back-Up Camera, Keyless Start, Bluetooth, 4x4, TRANSMISSION: 8-SPEED AUTOMATIC (850R. ANTI-SPIN DIFFERENTIAL REAR AXLE, QUICK ORDER PACKAGE 24S SPORT S, TRAILER TOW & HD ELECTRICAL GROUP, Hitch. WHY BUY FROM US Astorg Auto has proudly been a One Low Price, no negotiation automotive dealership for over 15 years. At Astorg Auto, we price our cars, not our customers. One Low Price is our no hassle, no negotiation, and no pressure purchasing experience. Our customer focused sales staff at Astorg Auto is paid to sell you a car, but not paid on how much we make selling you that car. Sales people paid on profit, does NOT benefit the customer. OPTION PACKAGES QUICK ORDER PACKAGE 24S SPORT S Engine: 3.6L V6 24V VVT UPG I w/ESS, Transmission: 8-Speed Automatic (850RE), Front 1-Touch Down Power Windows, Remote Keyless Entry, Speed Sensitive Power Locks, Leather Wrapped Steering Wheel, Power Heated Mirrors, Automatic Headlamps, Sun Visors w/Illuminated Vanity Mirrors, Security Alarm, TRANSMISSION: 8-SPEED AUTOMATIC (850RE) Dana M200 Rear Axle, Hill Descent Control, Tip Start, BLACK 3-PIECE HARD TOP Rear Window Defroster, Freedom Panel Storage Bag, Rear Window Wiper/Washer, WHEELS: 17 X 7.5 POLISHED GRANITE CRYSTAL, TRAILER TOW & HD ELECTRICAL GROUP Class II Receiver Hitch, 240 Amp Alternator, 7 & 4 Pin Wiring Harness, 700 Amp Maintenance Free Battery, Auxiliary Switches, ANTI-SPIN DIFFERENTIAL REAR AXLE, ENGINE: 3.6L V6 24V VVT UPG I W/ESS (STD). EXPERTS ARE SAYING Edmunds.com's review says Now made of aluminum, the doors are much easier to lift off, especially if you roll down the window so you can reach through and pull the door free with the new handhold under the armrest..
Back-Up Camera, 4x4, iPod/MP3 Input, Keyless Start, Bluetooth, Trailer Hitch, TRAILER TOW & HD ELECTRICAL GROUP , SAFETY GROUP , QUICK ORDER PACKAGE 24S SPORT S , CONVENIENCE GROUP , TRANSMISSION: 8-SPEED AUTOMATIC (850R. WHY BUY FROM US Astorg Auto has proudly been a One Low Price, no negotiation automotive dealership for over 15 years. At Astorg Auto, we price our cars, not our customers. One Low Price is our no hassle, no negotiation, and no pressure purchasing experience. Our customer focused sales staff at Astorg Auto is paid to sell you a car, but not paid on how much we make selling you that car. Sales people paid on profit, does NOT benefit the customer. OPTION PACKAGES QUICK ORDER PACKAGE 24S SPORT S Engine: 3.6L V6 24V VVT UPG I w/ESS, Transmission: 8-Speed Automatic (850RE), Front 1-Touch Down Power Windows, Remote Keyless Entry, Speed Sensitive Power Locks, Leather Wrapped Steering Wheel, Power Heated Mirrors, Automatic Headlamps, Sun Visors w/Illuminated Vanity Mirrors, Security Alarm, TRANSMISSION: 8-SPEED AUTOMATIC (850RE) Dana M200 Rear Axle, Hill Descent Control, Tip Start, SAFETY GROUP LED Taillamps, Injection Molded Black Rear Bumper, Blind Spot & Cross Path Detection, ParkSense Rear Park Assist System, WHEELS: 17 X 7.5 POLISHED GRANITE CRYSTAL, TRAILER TOW & HD ELECTRICAL GROUP Class II Receiver Hitch, 240 Amp Alternator, 7 & 4 Pin Wiring Harness, 700 Amp Maintenance Free Battery, Auxiliary Switches, PREMIUM BLACK SUNRIDER SOFT TOP, ANTI-SPIN DIFFERENTIAL REAR AXLE, CONVENIENCE GROUP Universal Garage Door Opener, ENGINE: 3.6L V6 24V VVT UPG I W/ESS (STD). EXPERTS ARE SAYING Edmunds.com explains Now made of aluminum, the doors are much easier to lift off, especially if you roll down the window so you can reach through and pull the door free with the new handhold under the armrest..